Working by your side to drive growth into the business you built. Pepperell & Associates attract enthusiastic, growth oriented businesses through their key consulting service as a businesses Chief Financial Officer (CFO). The team is dedicated to delivering outstanding service value, continuous innovation, and an exceptional service experience so that they fulfill their brand promise of helping you to experience a better life; by having a better business. They offer all the traditional tax and accounting services that you would expect, but they are so much more than just scorekeepers. When you choose Pepperell & Associates to improve your business you’re gaining access to a whole team of motivated and experienced accountants. Combining their knowledge of your business, the personal relationship they share with their clients, and their consulting tools, Pepperell & Associates can help you achieve more with your business than you imagined possible. Their goal is to help you build a stronger, more profitable business, and enjoy a higher quality of life as a result. They really can do so much more for you than just “keep the score“. While you’re working hard within your business, the team at Pepperell & Associates are behind the scenes to focus on tactics to achieve performance excellence and create financial prosperity. Pepperell & Associates is a team of dedicated accountants and administration staff who work in unity to bring you results. Their diverse team are lead by Peter Pepperell and Robert Richards, who gained expert knowledge working in firms across NSW and VIC before establishing their practice on the South Coast. Pepperell & Associates look at your current situation; in business, finance and personal perspectives, and they use the depth of knowledge and experience within their team to help you devise a path to achieving your goal. Pepperell & Associates love to see you achieve your personal goals, to watch your business develop, and to be part of the Australian economic success story. Pepperell & Associates have offices located in Nowra, Ulladulla and Batemans Bay with further expansion expected within the near future. The team services businesses located throughout Australia, with the majority residing within the Shoalhaven, Illawarra, Eurobodalla, and Greater Sydney area. We moved to a larger office space that we fitted out to meet the increasing technology needs of our business and space for our growing team. With an influx of new staff, the office was moved to a larger space in Milton to accommodate their expansion. Pepperell & Associates opened an office in Nowra to facilitate the growing client base in the region. Following the growth of clients and staff, Pepperell & Associates was moved to a larger office space on the Highway in Ulladulla. Robert and Peter participated in Movember with Mo-Bros Nathan and Michael to raise funds for prostate cancer and male mental health. The team reunited in 2013 to raise funds again. 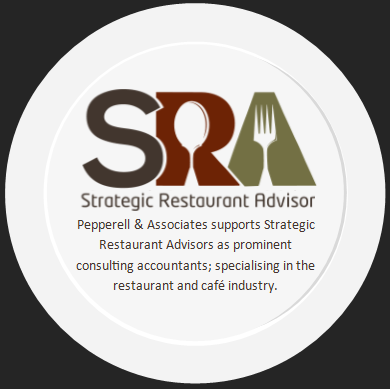 Pepperell & Associates was established in April 2011 by Peter Pepperell and Robert Richards. Initially the practice consisted of the two partners, working in a single small office in a side street in Milton.